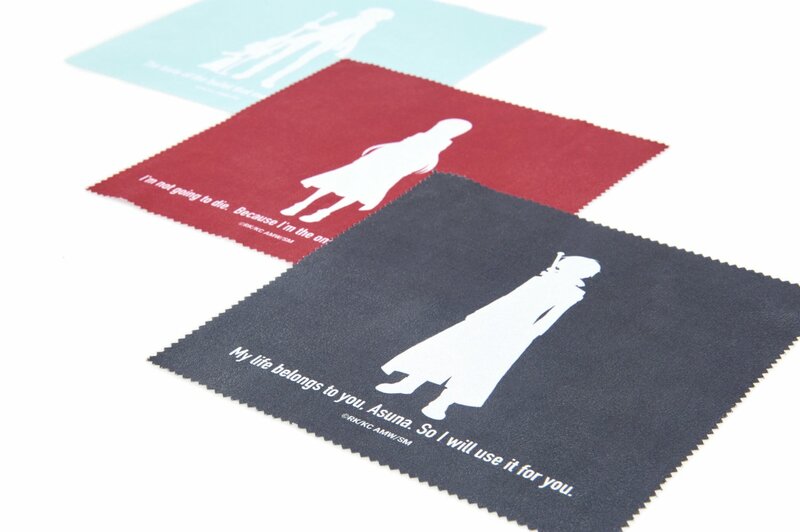 Here are the final designs of each cleaning cloth! 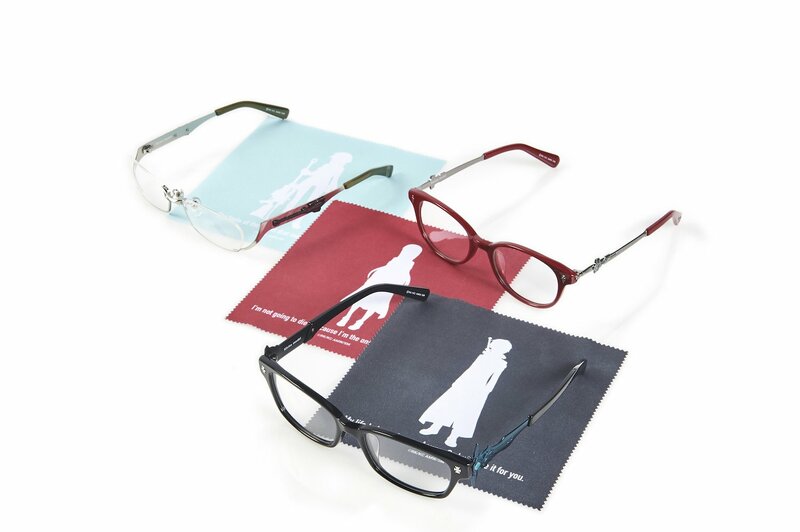 Compared to those that come with other anime collaboration glasses, the design of these cleaning cloths offers a different taste of the series. The characters’ colors are used as the background color, and located at the center is a white silhouette of each character. 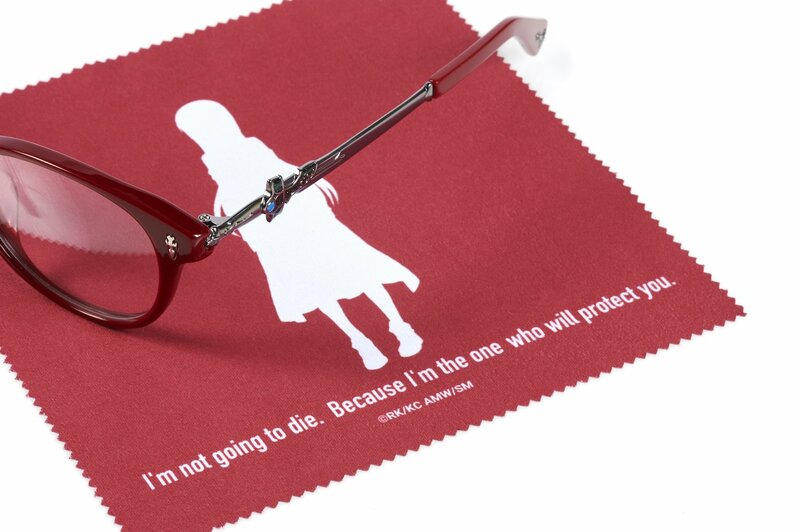 We’re confident that these cleaning cloths will look absolutely perfect together with the matching computer glasses! Beneath the silhouettes are English prints of memorable dialogue that we’re all quite familiar with. 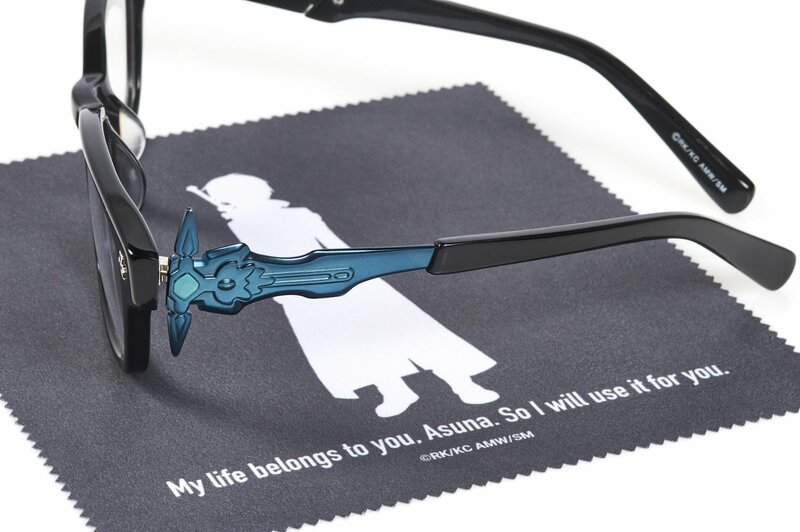 My life belongs to you, Asuna. So I will use it for you. I'm not going to die. Because I'm the one who will protect you. The taste of the bullet that means defeat. 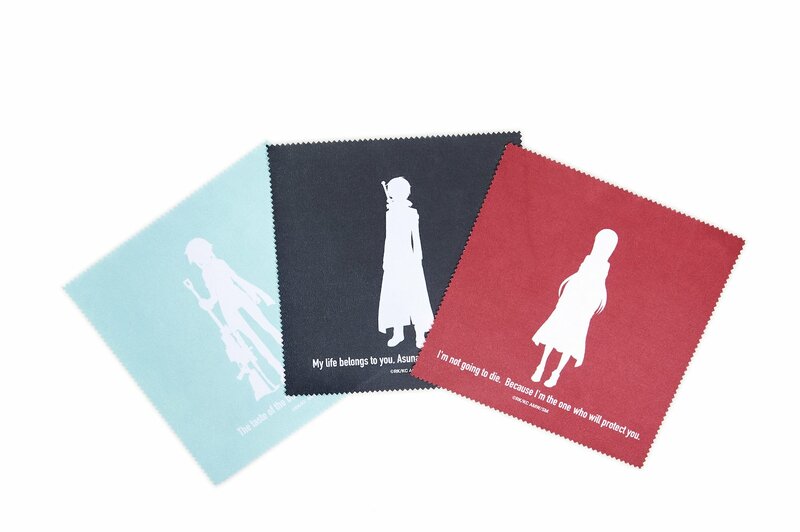 Although the designs are sleek and simple, each cleaning cloth is packed with the power and the emotions of Sword Art Online. 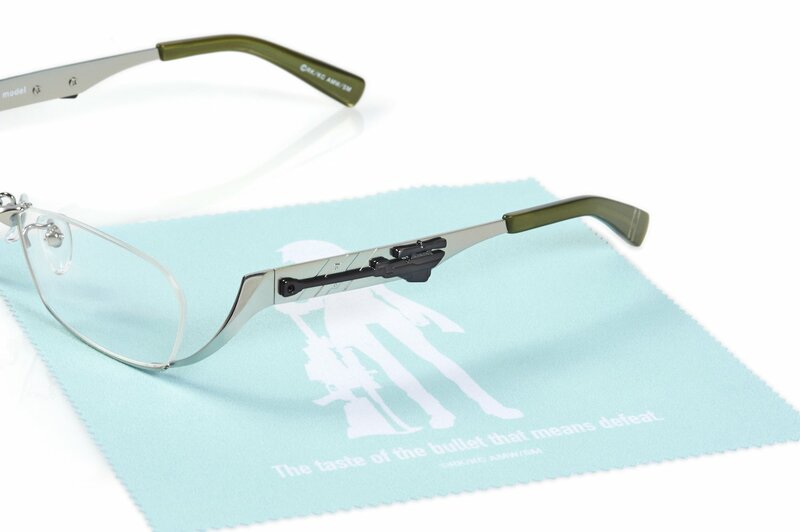 These are must-haves that can only be obtained together with the computer glasses. You won’t find them anywhere else! We’ll also be revealing the cases that feature stamped weapon motifs soon. Stay tuned for more!